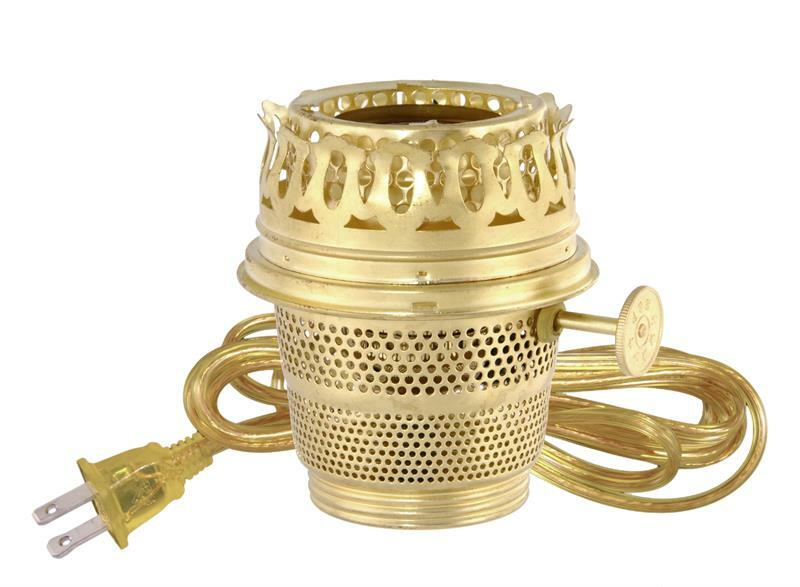 Solid Brass Electrified Lamp Burner replacement designed to fit Aladdin® Brand Lamp models A, B, C, 21, 21C, & 23 and all Glass Models. Also designed to fit Aladdin® Brand heel-less style chimneys, tripods, and shade holders. Assembled with U/L recognized components. Comes w/8 foot cord set. Bright Brass Finish. Made by BP Lamp Supply. Fits Aladdin Models 1-11, or any other Aladdin with Heel-less Gallery. Clear borosilicate glass.